0.0.1 Share this SEO Checklist On Your Site. Copy the code below! 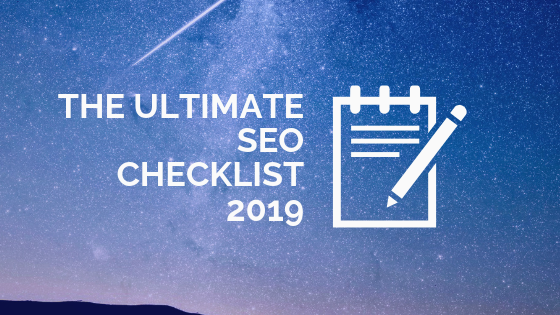 Share this SEO Checklist On Your Site. Copy the code below! Having an unique website name will help in creating a brand. Maintaining a consistent domain version will help in ranking in the search engines. Helps reduce bounce rate and improves the speed of the site’s page. It helps in improving the site’s search visibility and increases the click-through-rate. URL should be descriptive yet short and should contain the target keyword. Keep it as short as possible. Use keywords in the meta description and it will help in ranking on all the search engines. Add words or phrases to rank for long tail keywords. Helps Google to pick the most important pages to list as site links. As Google emphasizes on the first 150 words, make sure to add your keyword once. Using keywords in the heading tags helps to increase the relevancy for the keyword. Giving Alt attributes to the images will help Google understand better about the image. It’s a way to write and structure your HTML. Helps in SEO. Increase relevancy of content and rank for long tail keywords. Helps in better click-through rate. The structure of the URL is important. So, keep your URLs simple and optimize by using hyphens. Having unique and good quality content will help in ranking in Google. Helps in establishing relevance and reduces bounce rate. Helps in establishing authority and increases readability. Allows visitors to share your content online easily. Helps you optimize your site for ON page factors. Helps Google find all the pages in your website. The right keyword helps you rank easily and get the most no. of visitors. Helps in understanding visitor need and providing relevant information to visitors. Helps user understand the topic and improves CTR. Makes the content appealing and easier to understand. Improves user engagement, reduces bounce rate and improves ranking. Helps track the performance of your site in Google search. Its effective features like the keyword-research tool makes it worth optimization. Solving the errors will improve the site’s ranking. This helps in not showing certain files or page folders in Google. Helps in better navigation and indexing of the site. Helps boost country specific ranking of your site. To improve navigation of your site. Helps speed up the indexing and also quickly informs Google about the changes that is done on the website. Improves user experience and search engine ranking. Broken links stops the web page from indexing. Helps boost the rank on search engine as your site provides secure service. Find and remove duplicate Meta tags. Helps in improving bounce rate and in turn, helps in SEO. In the mobile era, making the website responsive helps you in reducing bounce rate across all platforms. Secures you good quality high authority links. Helps in local SEO and establishing authenticity. Webmaster tools list indexed pages, internal and external links, problems with your site and more. Find quality websites to get back links from. Drives attention to the website and gets shares. Brings more exposure to your website. Creates buzz and drives attention of influencers. They may share your blog post too. Reviews on local websites helps to get leads. Helps in SEO by diversifying your link profile. Do bookmark regularly over a period of time. Diversifying brand profiles establishes trust. Helps you in local SEO and gets you a backlink. Positive reviews can increase brand trust resulting in higher conversion. Helps in promoting and sharing your content thereby providing attribution link back to the website. To avoid downtime of the website. Helps disavow unnatural and spam links from the site. Helps in local SEO and establishing authority. Helps in procuring authority links of high quality. Reviewing regularly will provide an in-depth analysis of the website’s performance, traffic sources etc. Helps in keyword research for your brand.